January | 2017 | Moynihan Insurance Agency, Inc.
How to Prepare Your Home For a Snowstorm! With Snow Likely Falling in our Area tonight, Consider These Tips on How to Prepare Your Home For a Snowstorm! –Create an emergency kit including all supplies you and your family may need including: Rock salt, sand, snow shovels, heating fuel and enough clothing and blankets to keep your warm. –Consider Insulating walls and weatherstripping doors and windows to make sure your home will stay warm. Have a Good week and Stay Warm from Moynihan Insurance Agency, Inc.
Congratulations to our New England Patriots!!! Has your Child ever Wanted to be the Next Jr. Broadcaster? As part of the Arbella Press Pass, the Boston Celtics are giving three lucky winners the chance to be a Jr. 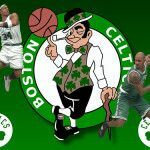 Broadcaster at a Celtics Home game! –Watch Video and then Click link located on our facebook page and complete form. –In 500 words or less tell why you want to broadcase from a C’s game or a short video on your phone that shows them why you would like to. –Winners must be between the ages of 8-17 years old. Good Luck!! And have a Great week from Moynihan Insurance Agency, Inc. Enjoy your Martin Luther King Jr. Day from Moynihan Insurance Agency, Inc. Enjoy your upcoming weekend and Martin Luther King Jr. Day from Moynihan Insurance Agency, Inc. Tips for Keeping You and Your Family Safe During a Storm with Power Outages…Check out these Suggestions and Tips via Arbella from Massachusetts Electric! –Leave a Light Switch on that will let you know when Power is back on. –Keep Refrigerator and Freezer Doors Shut to help Food from Spoiling. Stay Warm and Have a Great week from Moynihan Insurance Agency, Inc. Happy New Year #2017 from Moynihan Insurance Agency, Inc.
With Winter, comes possible problems with Ice Dams and Your Home. wet, mildew can form and rot the sheathing. Not good. HOW DOES AN ICE DAM HAPPEN? deck and creating a spot for water to enter your house. and convection of heat through the ceilings in the living space. sneak into the attic is carried away. your attic. It’s a one-two punch to winter’s wrath! downspouts so that when snow melts the water flows freely. line. Danger: Be aware of electrical wiring! with any chemicals, be mindful of children and pets! chloride, tie it off, and lay it vertically across the ice dam. a path for the melted water underneath. 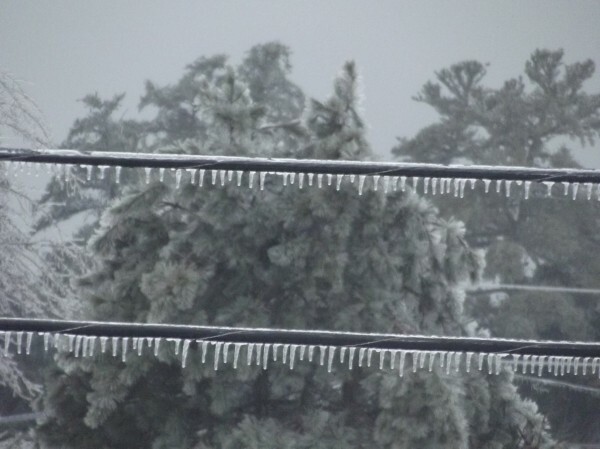 hold the ladder steady—watch for falling icicles!